This cute Rocker is in bright yellow suitable for boys or girls. 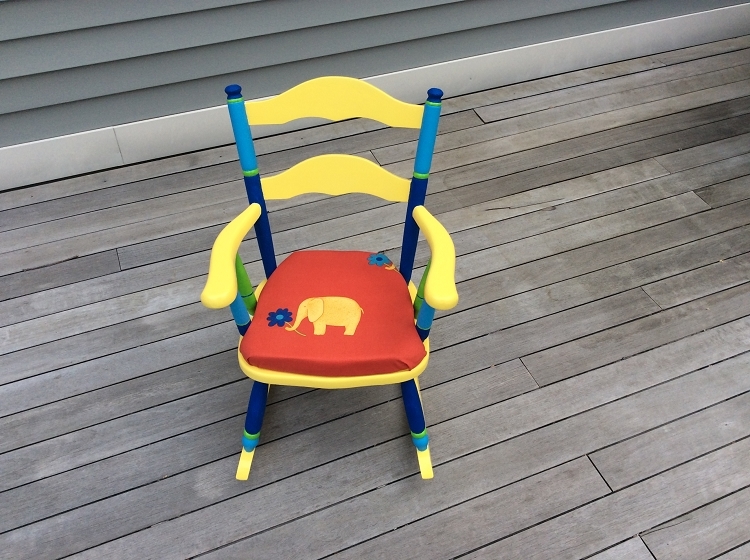 It features a bright seat fabric with a large elephant. Th chair details are hand painted to highlight and coordinate with the fabric. This is a great piece. Price: $125.00 Plus S&H. Local pickup by arrangement.